We all have a way to hack life and get things for free or at least make our lives a little easier; if you are a bookie, keep reading, as this will save you tons of money this football season. 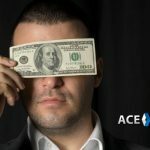 Did you know that AcePerHead.com, is offering new clients a pay per head sportsbook free trial? That’s right, the leader in price per head services is giving you the chance to try out their bookie software for free. 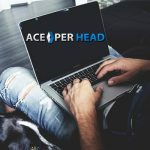 Ace Per Head has been in operation for more than 18 years, and during this time they have established themselves as the absolute best pay per head sportsbook, providing agents with superb customer service, the newest technology, the best betting odds, top of the line security, and customization all for the same price that other lower quality service providers charge. The pay per head sportsbook free trial is available to all new registered agents, Ace Per Head is so confident about the quality of their service that for a limited time, they are extending the free trial to 6 weeks. 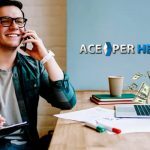 This means you get to enjoy all the benefits of working with Ace for free for a total of 6 weeks, this is unheard of at other price per heads, where if they offer a free trial at all it normally consists or 1 or 2 weeks. It is no secret that new customers get a lot of attention after a price per head knows they have you, they quickly lose interest and all of a sudden, your emails go unanswered and your calls are never returned except to charge you for a mediocre service. 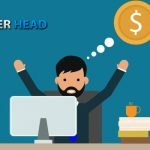 AcePerHead.com is different, they take care of each and every agent as if they were the only clients they have, this is what sets them apart from the competition, sure, there will be busy times when they might take a little longer to answer but you will always hear from them as fast as possible. To prove this, they are giving you 6 weeks to test them, if at the end of the 6-week period you are not satisfied and they are unable to come up with a satisfactory solution for you, then you walk away with no strings attached. Prepare to be amazed, set up times can take as little as 15 minutes, you register, initial contact with a representative is required so they can make sure they understand what your specific needs are, for this you can give them a call right after you sign up or wait for them to contact you. Once they understand your needs they go to work setting up your agent account and the individual player accounts associated with your agent ID. If you have a complex business model, set up times can take a little longer, but are normally done within 24 hours unless you are paying for a custom-built website complete with logo, your preferred color scheme and toll-free number. 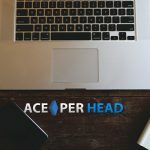 Simply visit www.AcePerHead.com, fill out the short form and contact the account representative and let them know you are interested in the free trial.